Your work day is over. The tension of your daily commute has spiraled down your shower drain. The kids are fed and (thankfully, blessedly, finally) unconscious. It’s 11:00PM and you have one short hour to grow your online business before your daily grind starts over again. One hour’s worth of work to guarantee the growth of your business and your ultimate freedom. Do the wrong things and you’re one more day behind in achieving your dreams. Now it’s time to focus on what’s effective, instead what’s efficient — time to start using this guide. Are the two steps in this guide your only choices? No, but I do believe they are the best. So settle in with your hot cup of coffee or red wine and let’s get ready to turn your time before bed into your most productive traffic time. Content is your life blood online. And writing more is an effective traffic strategy because the more content you have to be found, the more likely it is people will to find you. Like a lost hiker in an unending forest, content is your signal flare, shooting above the tree line and signaling your presence. One flare might attract a little attention, but one hundred flares attracts a lot. And any time spent writing is time that can’t be wasted because you will never know just how your content can be used. What you’ve written tonight may not be a suitable blog post, but that content could always turn into a guest post, a video script, an ebook, a Google+ article, or even future tweets. Words are the single most versatile and powerful tool you have at your disposal online so spend a large chunk of your limited time making more. And if you REALLY want to learn how to write a lot of content with teeth in a little time as possible, ask the Freddy Kruger of Blogging.  You’ve gotten some words on the page and feeling good (maybe it’s the red wine kicking in), but now you’re itching to drive some real traffic. This is when most bloggers turn to Twitter or social bookmarking and I won’t lie to you – I think that’s a huge mistake. Now is the time to spend opening up and nurturing communications with the other bloggers and thought leaders in your market and not in 140 characters. Email them an offer to help them in some way, send them your unpublished content and offer it up as a guest post, email them your thoughts about their latest post, ask them a question – in short, start a conversation. Most of these people will be busy and may not respond. They might respond to your paragraph with only a few words. It’s not important that you impress them in one email. What’s important is that you open up the dialogue and introduce yourself. They will get to know you, they will be exposed to you and, over time, they might come to like you, trust you, and even turn to you as a resource. Learn to engage leaders in your community and build your relationships slowly. So you may have noticed that nowhere in this short little guide did I mention spending your limited time on social media, or building backlinks, or SEO, or social bookmarking. In my experience with coaching bloggers, I see a lot of time get wasted on these things. There’s no risk of being rejected by a social bookmarking site. You can safely submit your content, see a little boost in traffic and pat yourself on the back. And I’m not saying social media or social bookmarking tactics don’t work. It’s just that they are far from the most important things you can do to increase your traffic and grow your business. Search Engine Optimization should be something you do every time your publish new content, NOT a dedicated process. Social Media should be a routine you engage in during coffee breaks, NOT how you spend your one productive hour every day. Social Bookmarking should be a natural step after you’ve released new content into the wild, NOT a primary traffic strategy. The point is that these are minor things that you should be doing anyway. They’re just good practices to have. But if you want to dedicate what little productive time you have to bringing in real traffic, these two steps are all you need. While this process might seem too simple, that’s the real beauty of it. Spending your time creating valuable content and networking with influencers who can spread that content is the most effective way to reach millions of potential fans. And what’s even better is that those fans are guaranteed to pay attention to you. A guest post, a recommendation, a link – these are the single best ways to get in front of an audience and introduce yourself. Social Media and SEO might give you access to massive potential audiences, but let’s be honest: how many people are really listening to you on Twitter? Don’t waste what little time you have shouting to strangers on the digital street corner of social media. Go directly to the people who have large audiences and get to know them. Your time is precious and spending too much of it on anything but the most effective strategies shouldn’t be acceptable. So You Need to Get More Web Traffic… Now What? I have a full time job (with a lot of responsibilities), a wife, a son, and a daughter on the way. And on top of that I’m doing everything I can build my internet business. So to say this post was timely is an under understatement. I’m soaking up as much as I can and this is just one of the drops for my sponge. Thanks for this. I’m at crossroads at the moment with my blogging, and this really reiterates what I’m feeling right now. At the end of the day I always feel like I’ve wasted too much time doing social bookmarking and commenting, rather than the things I love – writing and creating. It really gets to me and I feel bad about it. I like your very first point. Write some more!!! There are just tons of ways to use content. The short wording done within 10-20 minutes might not be good for a blog post but certainly will be useful for forums or social marketing. All the bloggers who do a day job has very less time to their blog and online business. These tips are nice for that kind of bloggers. I strongly agree that we need to do SEO after posting each and every single post. Thank you so much for the awesome post. It didn’t let me go till I read the full article. This is what I usually try to do, write evergreen content and interacting with other bloggers. Also it has the added benefit that you learn so much and you have a chance of still getting traffic if Google slam you. Everyone falls into the quick traffic thing at the beginning also because very few bloggers honestly state that for the average writer it takes years of writing good content to earn decently with a blog, at least in the West. In other places earning 100 dollars per month already gives you a higher than the average life, one of the reasons why there almost everyone has a blog. The same thing that happened with ebooks, you know, those simply copied from Wikipedia or from public domain books. The reality is that for the great majority blogging is a kind of 401k plan but you have to live out of your everyday job. There does seem to be a lot of misunderstanding about the reality of professional blogging, doesn’t there? Bloggers who get rich solely off of their blog aren’t myths, but they are incredibly rare. That’s why I discourage people from trying to make money from their blog directly (as in affiliate marketing or Google Adsense) and instead teach them to build a real business, fed and grown by the content and community of a blog. It’s not only a far more effective and stable way to earn a living from a blog, it’s a hell of a lot more satisfying than measuring you success on how many pennies per click you earned that day. I would love to connect with other bloggers, but I have a problem (which may simply be that I’m dense). Who would talk to me if what I say is the opposite of what everybody else in my field is saying? It seems to me that the only bloggers who would be interested in my iconoclastic view are the experimenters, whom I can’t see having much of a following. Or maybe I’m just looking at this the wrong way. Ariel, your comment got me curious so I had to do a quick Google search and I can see what you mean. You’re in a market FILLED with people who are secretive for a living! The good news is that it doesn’t mean you’re out of luck, it just means you have to get creative. First, I would try reaching out to the other bloggers you oppose, even if nothing ever comes of it. It’s good to build the relationships and who knows when a little creative problem solving could bring you two together for a one-off type of business opportunity. It’s worth the shot. If, on the other hand, going directly to those other bloggers doesn’t work, you can try to find some lateral connections, people who are in different, but connected markets. Personally I could see you guest posting on performance art blogs (performance tips), dating blogs (tricks to break the ice), business blogs (illusions to open a presentation), and that’s just off the top of my head. Point is, if you can’t move directly, try moving laterally and find connections that aren’t so obvious. Your situation is pretty unique in that regard so if you feel the need to bounce any ideas around feel free to email me (droach@blogtobusiness.com) and I’d be happy to see if I can help you come up with a game plan. Thank you very much for your interest and input! But, um… the problem isn’t with magic. Only a handful of magicians are secretive; the vast majority are extremely generous, and the quantity of available instructional material, lectures, conferences and conventions is staggering, considering our small population. My problem is with my other expertise, the ancient Chinese approach to nutrition. It’s a very powerful and sophisticated system, with concepts that are not only radically different from modern beliefs, but also often contradict them. I can’t very well see anybody willing to post, say, a rebuttal about the value of the Mediterranean diet, no matter how much sugar I put in my pen. Having said all that, you’ve given me some excellent advice! Although I had already thought of consumers of information (eg, women’s magazines), I see now that I didn’t expand my view enough. Thinking laterally, I now see cooking blogs, restaurant review blogs and health blogs as likely candidates, and with a bit of brainstorming, I’m sure that I’ll find some more. Well that is a much different market, isn’t it? But the principle is the same and it sounds like you’re on the right track with it. Glad you got some ideas to go on, Ariel! Now I feel a little dense – how did you know which niche Ariel was in, Daniel? OK, now I am going to sound even denser… if that’s possible, that is. Ariel didn’t provide either her site URL or the niche she is in. What am I missing? Love your advice by the way. I Googled his name. His comment intrigued me so much that I just had to find out and I didn’t think I could give a very good answer without knowing. Although technically I did get it wrong since he was talking about a different market. Great tips here. A good reminder that I need to write more content! Glad you liked it, Dan! Thanks for the comment. I hope you don’t mind me asking, but how much time should be spent on backlinking during that precious time? I’m still bouncing between freelancing and trying to figure out blogging. I read somewhere that you should only write what you have time to backlink, but that really doesn’t make sense to me as a content writer. It seems like content should always come first. 1. I don’t agree with building backlinks in the traditional sense (writing articles, using forums, etc. etc.). The days of those tactics being effective are long gone. Instead, forget the search engines and operate on the rule of never write more than humans can read. 2. That said, you bring up a good point. What’s the use in writing a bunch of content, if you don’t have readers there to read it? Well, if your blog is new and has only, say, 20 – 30 posts, you NEED more content for new readers to read. New readers who really like what they see on their first visit will read literally everything of yours they can find, so you absolutely MUST have content in place that they can peruse, and that will convince them to subscribe. If, on the other hand, you already have your “foundation” or “corner stone” content in place, then writing too much might actually be a problem. At that point you have the luxury of writing the same amount but keeping the absolute best for your blog while shopping around the rest of your (still awesome) content to Youtube, Twitter updates, Facebook updates, or guestposting. That’s why I mention that time spent writing is never wasted – you can always use great content. You should definitely be aware of writing too much, or more likely, writing low quality posts more often. But this two step system is more about who you are writing for. If your blog is brand new, write for yourself. If you are established, write for other people and try to get guest posting opportunities, which will result in backlinks. Either way your time won’t be wasted. If you have any other questions please feel free to leave another comment, or contact me via email which you should be able to find on my blog. I absolutely agree about writing too much, Daniel. I’ve tried writing daily for TGC in the past and, even though my traffic definitely went up, quality was slowly being replaced by quantity. Needless to say, I stopped doing it pretty quickly. I’m fascinated by what you stated here. I agree with “Content is your life blood online.” I’m sure that, if you created a good content for your readers and people with the same niche as your are, then it’s not possible to get the traffic you deserve to have. Just also remember to share it, also a great way to spread the good news that you have. I have mixed feelings at present regarding just pumping out content and hoping for the best. If the content is of the highest quality and written often, yet, nobody knows about it, then all the post frequency and quality will not make any difference. Until a website gets known to a large audience, it’s content no matter how great or how often updated, will not cut it. II am not a big fan of the social sites, though, they at least provide a way of gaining some free “promotion ” for content…. I will repeat again, until a site has a large audience(exposure) they really do not exist, out on the web. This is why many online Analytics and site data and marketing tools(websites) do not provide results for websites that have particularly poor rankings, and/ or traffic numbers. Once those sites are detected within those parameters they can safely say that they are now, recognized on the web…. So, as important as ” plenty of quality content” is, there are stats that matter much more…if a site is to ever truly succeed online….including the $ stat…. And no matter what the size of a blog, it needs content. Content (and I shouldn’t have to specify that all your content needs to be the best quality you can produce) is how you get found online, without it you have nothing to attract readers or build an audience of any size. There is, in fact, no other way to build an audience online than through content, be it written word, video, or audio. Finally someone admits it, my suspicions have finally been confirmed! Your suspicions are spot on, Caleb. Unless you’re already a social media rockstar, chances are good your time on social media isn’t doing much for you. This is definitely something that many bloggers don’t know or take note of. Many of us still see social media as our primary source of traffic and according to you, this is way off the mark. I guess what you’re saying is tap some traffic from those that have the traffic. To get to the top, we truly do have to climb on the shoulders of giants. Ana is one BIG giant and you’re not too bad yourself. With this post, it seems my one hour is about to see some changes. But instead of red wine, I think I’ll settle for tea. That is basically what I’m saying. Most bloggers aren’t in a posisiton where social media can bring a flood of traffic. If you want to get in front of large audiences, you have to build connections with those that do. You’re right! Good content is the key, and it takes a lot of it to attract attention. Writing guest posts, hanging out on the social-media sites, and networking are all for naught, if you don’t have enough quality content to compel visitors to return or sign up. Developing a good blog may have been quick in the past, but now, doing so takes time, patience, and persistence. Thanks for the tips! It was never quick, unfortunately, but it’s definitely harder now that’s for sure. But you’re right, Doug, you have to have content to promote. I can’t tell you how many times blogger with only five posts ask me why they haven’t made it big yet. The equation is surprisingly simple – do the work, then promote it and make connections. God, so refreshing. I also like how you wove story into this post, very well done. Plus Write Like Freddy rocks – hard. Would’ve helped me a lot back in the day too, that’s for damn sure! I consider this advice to be my “if I had to start from scratch” strategy. Thanks for the kind words, Jason, I’m glad you liked it! You’re absolutely right, Kostas, and so many bloggers forget the opportunities that can come from building relationships. Business opportunities can make a blog much more profitable than Adsense or affiliate marketing ever could. Most people spend 90% of their time doing some article submission, creating forum profiles & posting to forums, social bookmarking and playing around with lots of other gimmicks… and only 10% on writing great content and networking with other marketers, whereas this should be the exact opposite. Awesome tips man! Contents are a must for every website and blog so we must write and write each day… This way we can always have contents for our blog and also for guest posting. Yep, there’s just no way around it! Content is all their is online. Whether it’s a social media update, a guest post, a video, a podcast, or a blog post, you have to create that content to get found. Content creation should be step one, every time (but don’t forget step two!). Thanks for the comment, Kharim! My thoughts exactly Daniel! Blogging is writing and updating a blog. Instead of wasting time doing the wrong things, we should focus more on writing and updating it! Absolutely, Peter. Just remember that creating content is step one. And while everything hinges on it, even the best content won’t do you any good unless you have the connections to spread it. Building relationship with your market leaders, is very challenging task but easily give your huge reward… as their one tweet, like or share can turn up hundreds of targeted visitors on your website or blog which has more chances of conversion as well. It is challenging, Aasma, but I’ve found that most bloggers (big and small) tend to be open to relationships if you are sincere, talented, and can hold your own. They tend to shy away from parasitic, spammy, fake, or wanna-be relationships. The good news is that 99% of the people contacting them aren’t doing so properly so rising to the top of that crowd is easier than you might think. Thanks for the comment, Alexis. I think one of the best ways to reach your second point – becoming friendly with people online – can be done exactly how I am doing it just now – blog commenting. Commenting on a blog often will prove to the owner that you are a dedicated member of the community. Eventually, a good webmaster will engage with you, widening your eyes to new horizons. Thanks for the comment, Joe, I appreciate it. Seriously I couldn’t agree with you more. I didn’t focus on SEO at all when I first got going.. I didn’t generate backlink campaigns or any of the other crazy things that bloggers waste time on. I just wrote… an d wrote and wrote and for a keyword phrase in my industry (Insurance) I have the highest ranking website. Glad to hear it, Ryan! It’s all about doing the work – everything is just wasting time. Thanks for leaving a comment. In my Boulder real estate business, there’s no way I could even come close to 3 posts a day – wow. I am guilty as charged when it comes to micro-focusing on things other than content. Maybe it’s time to examine that and make a change. Thanks for the ideas. Glad you liked the post, Phil, but keep in mind that 3 posts a day is way more than most bloggers need. Take a quality over quantity approach and find new ways to spread that content. You get it, Ana! Content is golden! I’ve found that when I write from the heart, those works will yield many returns – just a few visitors a day attracted to one post multiplied by a hundred great posts – that’s a lot of traffic! Hmmmm… just this year so far, I have uploaded more than 350 posts, and already about 6 or 7 of them are drawing visitors on a daily basis, thanks to timely topics and faithful little searchbots! Dave is a writing machine – will always remain a columnist at heart!